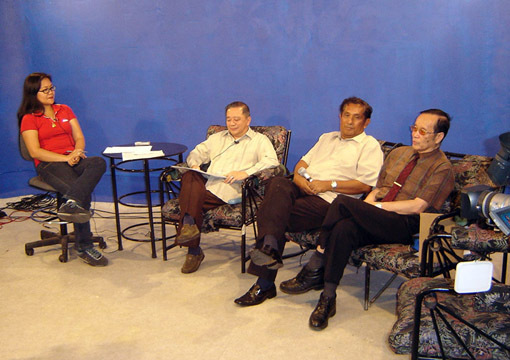 In April 2007, CNA-TV finally opened its own television studio and AV production suite complete with 3CCD cameras, a video mixer and non-linear-editing computers. Baboo's third guest is a mini pincher held by a dog lover. 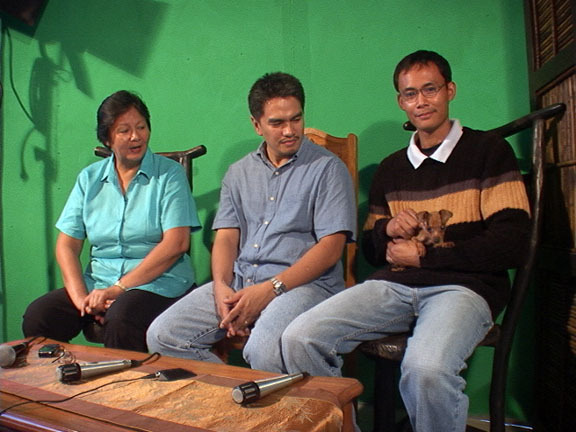 With the onset of digital media, CNA-TV Technical Director Art Tibaldo found other uses for his now jurassic analog (partly shown) editing machines. These dinasaurs are now part of the Media Museum. Visiting veteran radio broadcaster Jimmy Bernabe shares a light moment with Brenden Kim Quintos who spends part of his off-school hours at the studio. Brenden is shown explaining to the radioman how the software composer ACID-Pro works.